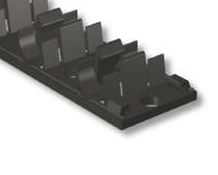 We can supply underfloor heating components to suit your requirements. If you do not see a certain product listed, that doesn’t mean we are unable to supply it, contact us with your requirement and we will see what we can do! Gridboard is a cost effective alternative to other floor insulation boards available on the market today. 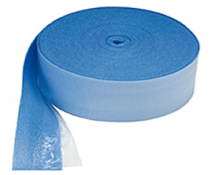 It is available in a wide range of depths allowing you flexibility in your floor make up. The Grid Pattern which will assists the under floor heating installer with the laying of their under floor heating pipes. 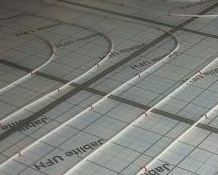 The laminated film which covers the Gridboard is specially designed to hold pipe clips in position and ensures that under floor heating pipes are held tightly in place. 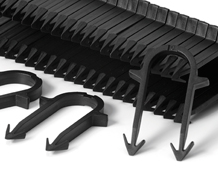 Clip rail track is ideal when using warm water underfloor heating within a screed or concrete floors. Underfloor heating clips are designed for use in insulation such as Kingspan, Ecotherm, Quinn Therm and others. They are held in place by rigid barbs. Packed in 300s the recommended quantity is 1 per metre when installing underfloor heating pipes. The Underfloor Heating Perimeter Expansion Border Edging Strip is for use with all screed floors to give expansion facility for when the floor is heated; the underfloor heating perimeter expansion border edging strip is made from polyurethane foam. The perimeter edge expansion strip should be fitted to walls wherever the underfloor heating is.